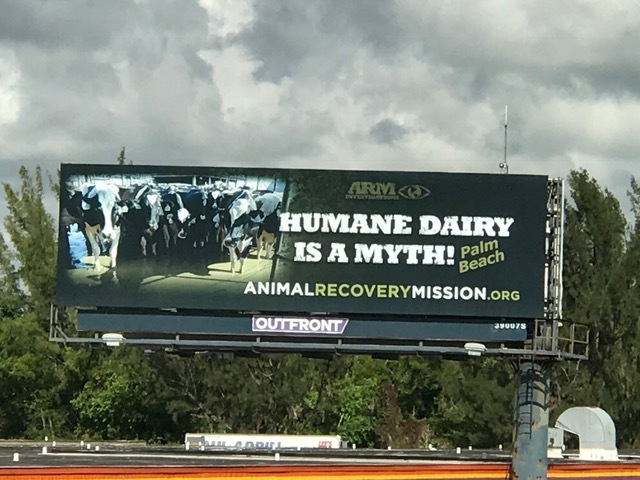 In 2017, ARM launched it’s first public billboard campaign, in hand with it’s undercover investigations of four dairy farms, located in Florida. 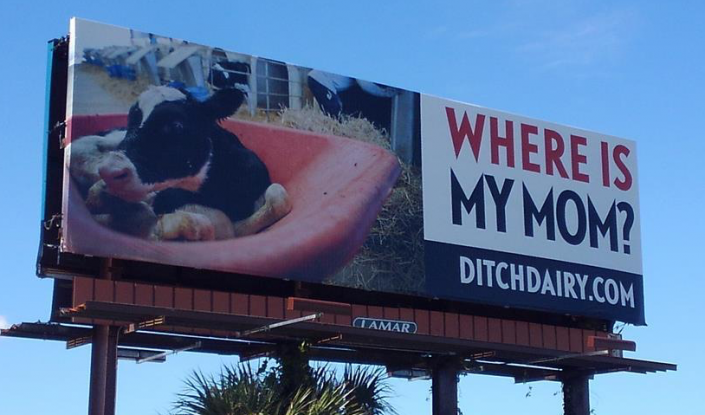 Running for two months, the truths behind the dairy industry depicted images of cows standing knee deep in their own feces and newborn calves left alone, in wire shambled structures. 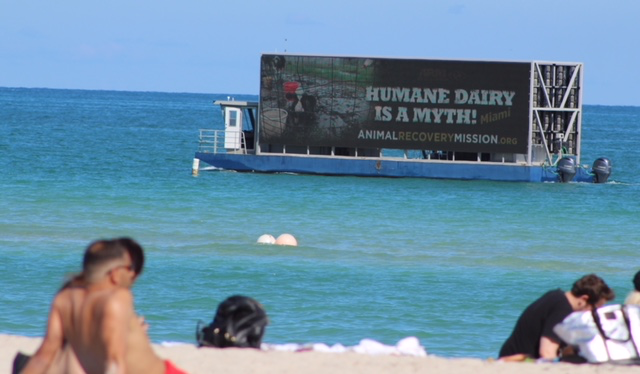 Posted in two locations (West Palm Beach and Miami Beach) along the 1-95 expressway- one of the busiest travel routes in South Florida, millions of people were educated on both ARM’s investigations as well as the industry as a whole. 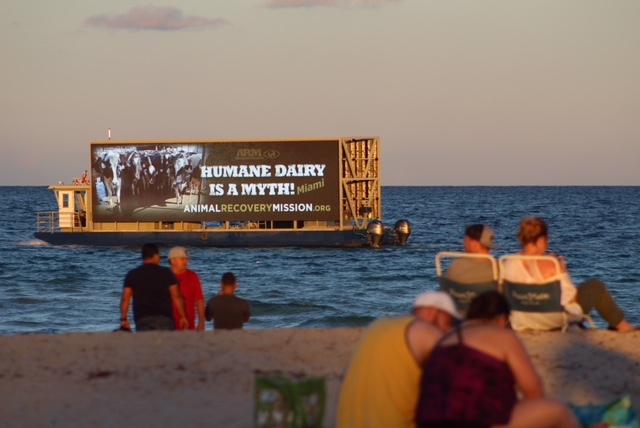 In addition, ARM also ran a campaign on a moving water vehicle billboard along South Beach, Miami – the most visited beach on the East Coast of the United States. Correspondence from viewing the campaign, flooded to ARM’s Headquarters and proved to be one of the most effective campaigns in Florida. 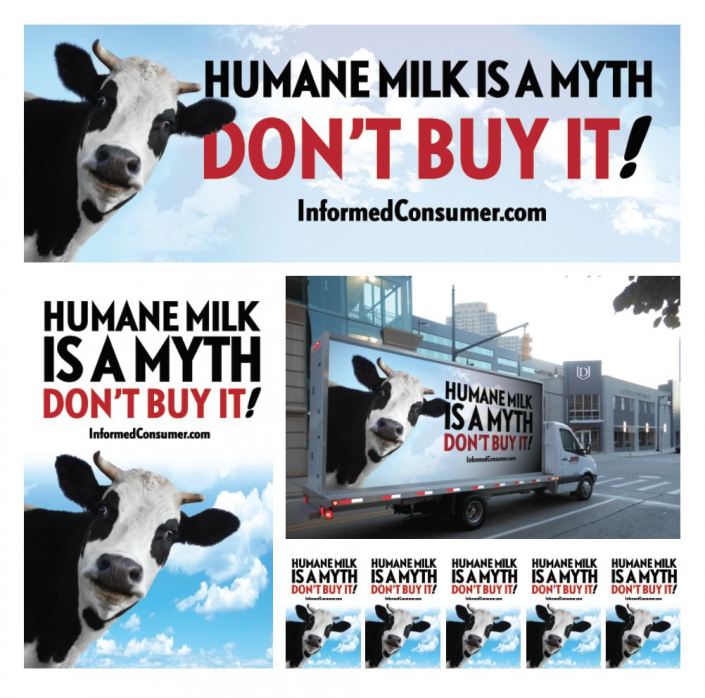 Even today, whilst the campaign has ended, people still reach out to ARM describing the impact that these billboards had on their personal opinions and decisions of ending their consumption of dairy, in place of a more humane, plant based diet.